One dozen Bassmaster fans are now virtually paired with the 12 pros in the Bassmaster Elite Series Toyota Trucks All-Star Week. One of those 12 fans will score a $30,000 bass boat, a Triton 18XS with a Mercury 150 OptiMax engine. The winning fan will be the one whose pro partner wins the July 23-31 All-Star event. But just by winning the sweepstakes to become a finalist, all 12 fans will receive a tackle pack from Berkley and Havoc and a replica fishing jersey of the pro who they’re paired with. The pairings are virtual. Fans don’t actually compete with or against anyone. They’re likely to be watching closely, though, because they win only if their pro wins. The All-Star pros get started July 23-24 on Alabama’s Lake Jordan out of Wetumpka, Ala. Only eight will survive the cut and move to the Alabama River for three final days of bracketed elimination fishing July 29-31 out of Montgomery, Ala. On July 31, the winner will take home the entire purse of $100,000 while his virtual fan partner will collect the Triton-Mercury rig. Aaron Martens has some hard travel in front of him to reach Alabama in time to get in some practice on Lake Jordan, fishery for the first leg of Toyota Trucks All-Star Week. All 12 competitors are allowed two days of practice on Jordan before the event begins July 23. But Martens is in Nevada competing in the July 18-20 WON Bass event on Lake Mead. According to the organization’s reports, Martens, a two-time past winner of the event, led after the first day. Martens now lives in Leeds, Ala., but he was raised in California and on Western fisheries. For the record, Murray finished 22nd in a field of 41 in the 1981 Classic. 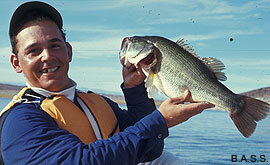 His two wins were the first Classic, in 1971 on Lake Mead, and again in 1978 on Mississippi’s Ross Barnet Reservoir. “And river fish concentrate. In 20 miles of river, you’ll have three or four places with any fish on them,” he said. In that first Classic, 24 anglers competed, and the stakes were winner-take-all — “all of $10,000,” Murray said. The All-Star prize is also winner-take-all, but the amount is 10 times Murray’s first Classic prize. Murray is scheduled to be back in Alabama next week for the Bassmaster Legends event, a one-day team competition in conjunction with All-Star Week. Lucky for him, he won’t be fishing the Alabama River. 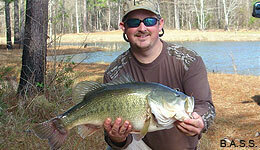 The Legends anglers will be far away, on a private lake outside of Montgomery. His teammate will be Guido Hibdon. They’ll try to beat the other teams of Bill Dance and Jerry McKinnis, Tommy Martin and Rick Clunn, and Ken Cook and Guy Eaker. Tommy Martin, winner of the 1974 Bassmaster Classic, taught newest Classic qualifier Andrew Upshaw much of what he knows about competitive bass fishing. Upshaw learned so much from Martin that the young angler brought up Martin’s name in the first hours after winning his 2012 Bassmaster Classic berth. Upshaw qualified for the Classic just last week in the finale of the College B.A.S.S. circuit, claiming the first Classic entry for a collegiate-level angler. Later, after being told what Upshaw said, Martin was happy to hear his student had listened so well. The two met through Upshaw’s father, a high school football coach who had Martin’s son on his team. Coach Upshaw helped him apply for a football scholarship to Sam Houston State College, according to Martin. “Andrew’s father was instrumental in helping my son, who went on to be an All-American,” he said. Martin said he was among the first people to take Upshaw fishing, but was just one of many people who influenced the young angler. Martin usually can be found these days guiding on Falcon Lake, Sam Rayburn, Toledo Bend or other Texas lakes near his home in Hemphill. He returned to Bassmaster competition this season in the Bass Pro Shops Bassmaster Central Open circuit. 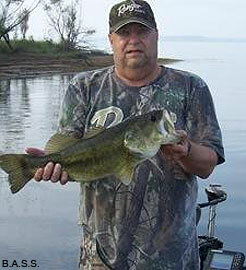 He is scheduled to compete July 31 in Bassmaster Legends, an event held in conjunction with Toyota Trucks All-Star Week.